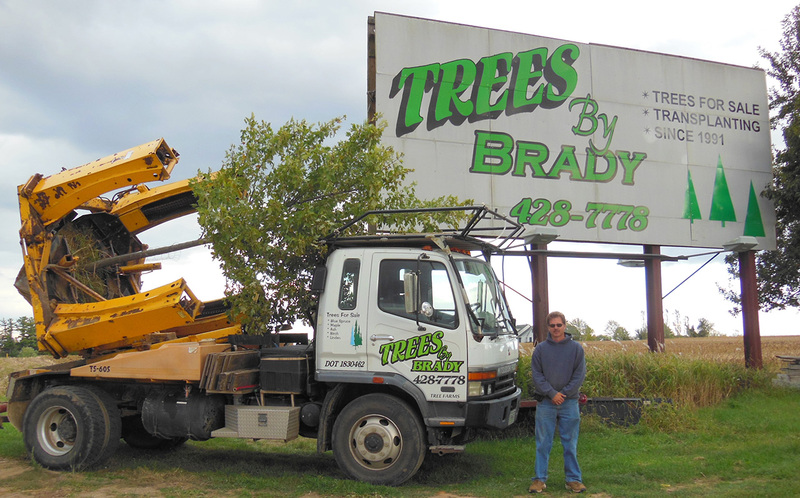 Our 60″ inch spade is our largest truck. 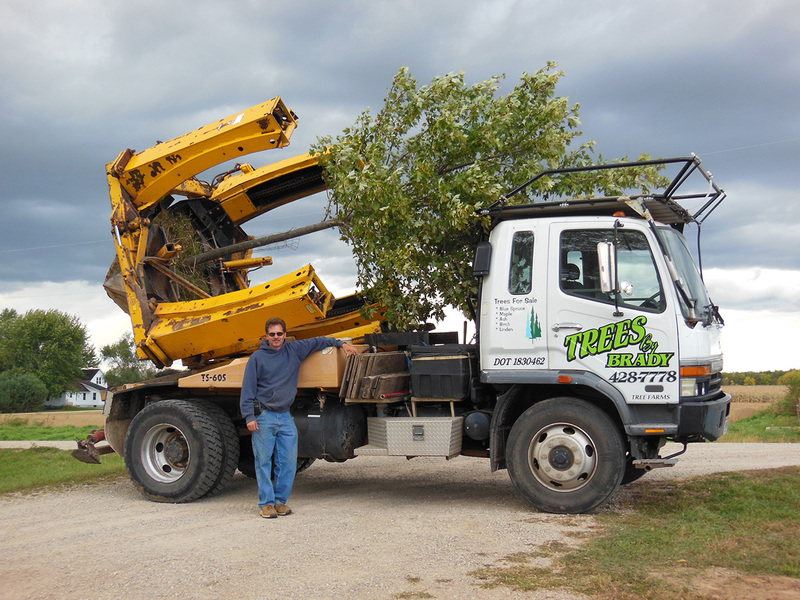 It can transplant evergreens up to 6″ inch trunk caliper and shade trees at a 5″ inch practical limit. 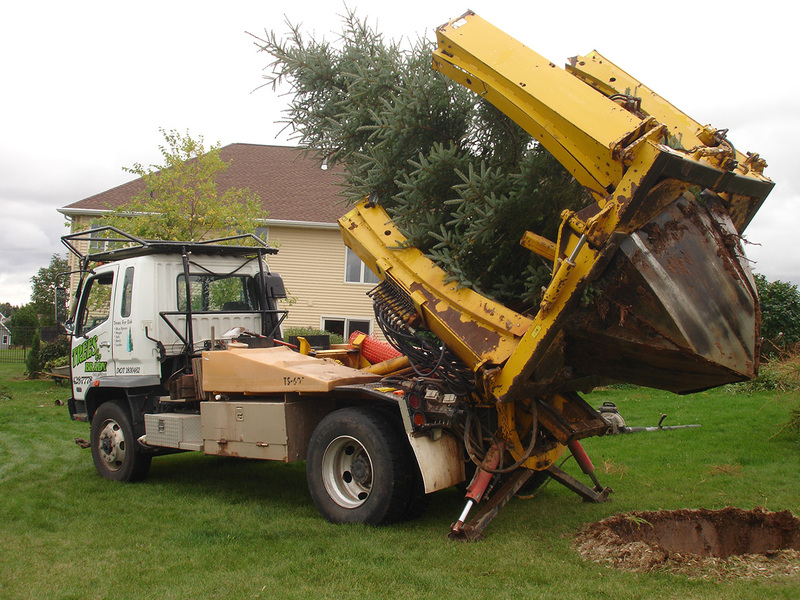 The tree spade digs a 5′ ft. wide hole, 4′ ft. deep, weighing 3000 pounds. 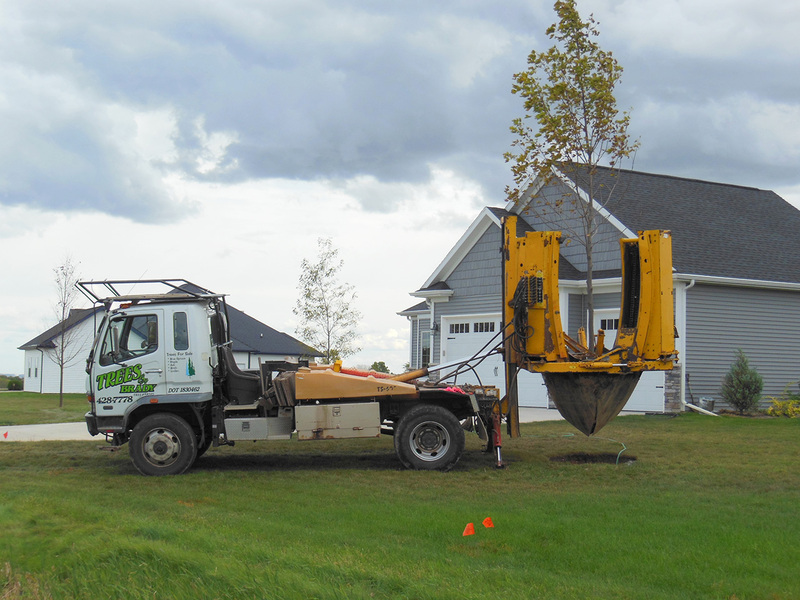 It is a single axle truck and can be driven on lawns with minimal tire marks during dry conditions.